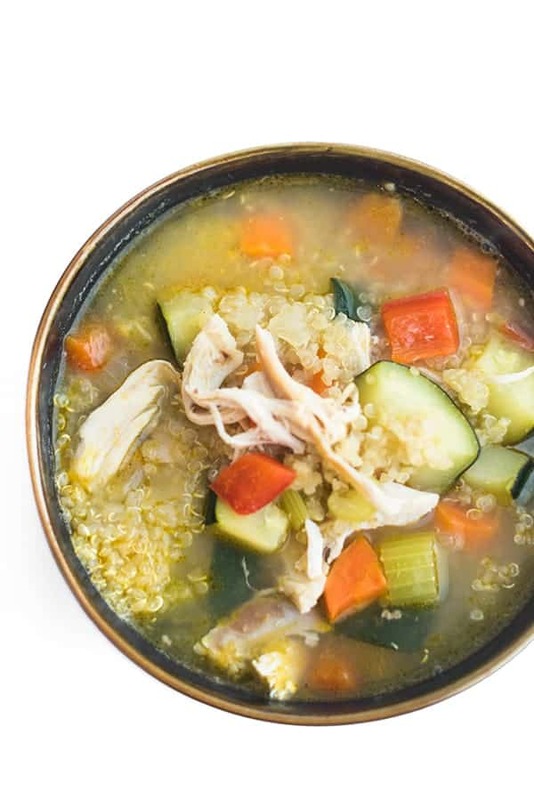 This warm and comforting turkey soup is loaded with hearty vegetables and quinoa. 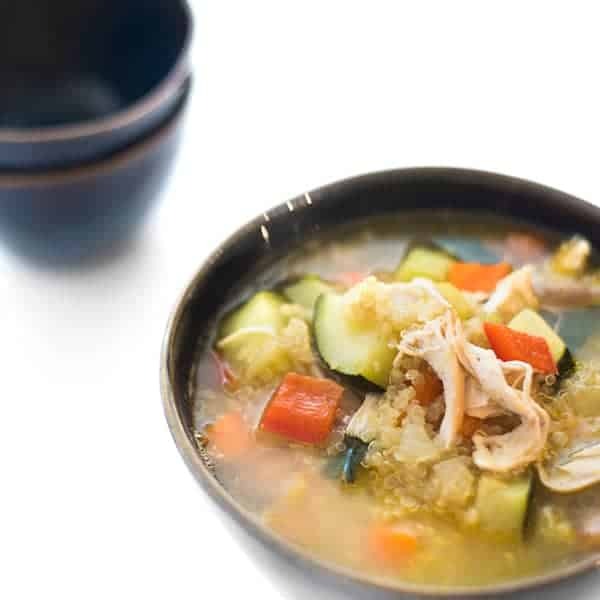 Ideal for using up leftover turkey, this soup recipe is naturally gluten free and high-protein! We hosted our very first Thanksgiving this year which was particularly special since it’s also our first holiday season in the new house! To celebrate, my husband went a little crazy and ordered a 32 pound bird. Needless to say, we have a lot of leftover turkey to enjoy. 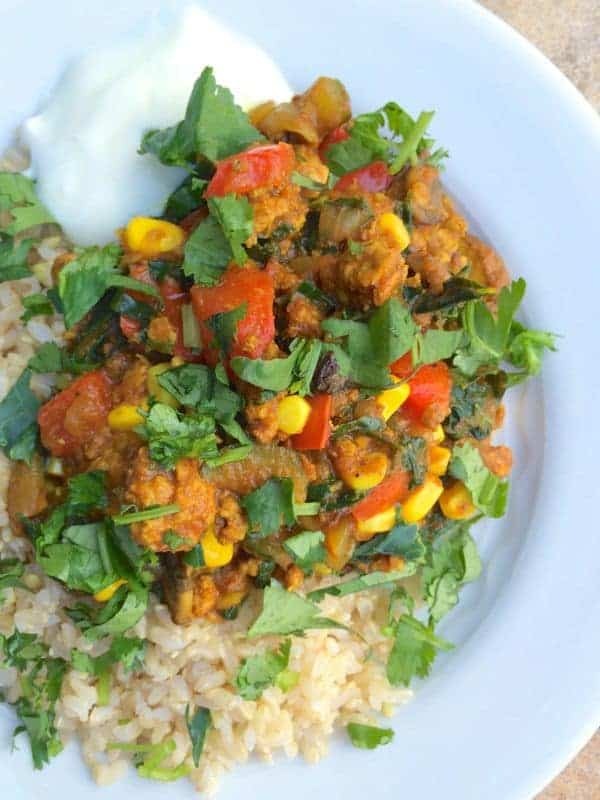 Whenever I have leftover protein, be it turkey, chicken, pork or beef, I love finding creative ways to turn it into a new healthy recipe. 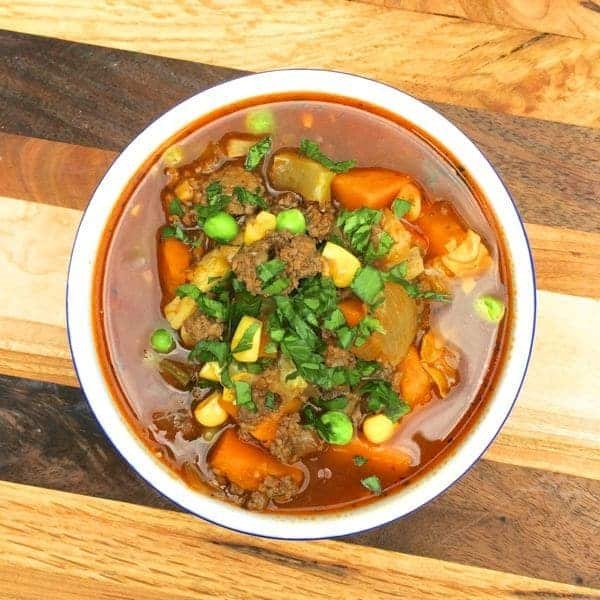 Soup is an ideal way to use up leftovers because you can truly use whatever meat and vegetables you have on hand. For added flavor, I’ve added lemon juice, garlic and cinnamon to this heart turkey vegetable soup. For even more protein, fiber and nutrients, I use cooked quinoa instead of the traditional egg noodles. 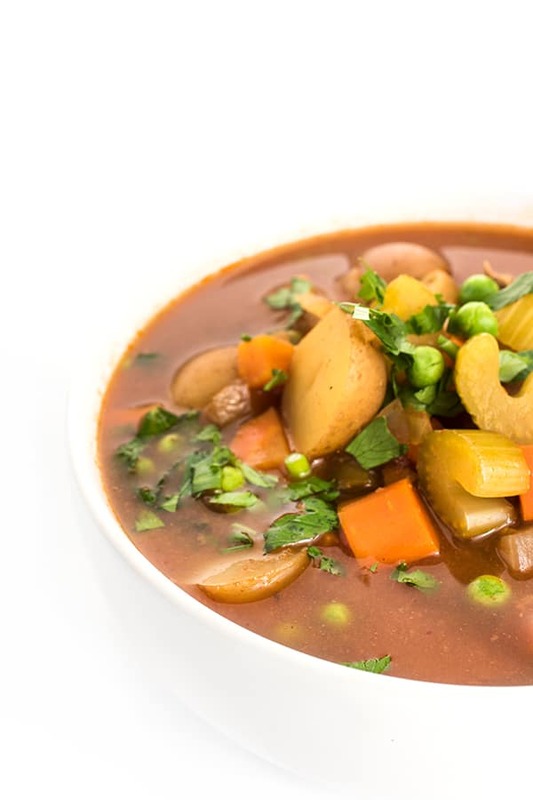 This not only makes the soup naturally gluten free but it results in a high-protein meal that will keep you fueled and satisfied for hours. Pro Tip: Make a double batch to freeze for a busy day another time. Heat a large soup pot over medium-high heat and drizzle in the olive oil. Add garlic and sauté until fragrant, about 30 seconds. Stir in the onions, peppers, carrots and zucchini then season with salt, pepper and cinnamon. Sauté until vegetables are tender, about 7-9 minutes. Pour in the lemon juice and chicken broth then bring pot to a boil. Add in cooked shredded turkey breasts and cooked quinoa then bring to a boil once again. Reduce heat to low and simmer for about 20 minutes. Check for seasoning and add additional salt and pepper to taste before serving. 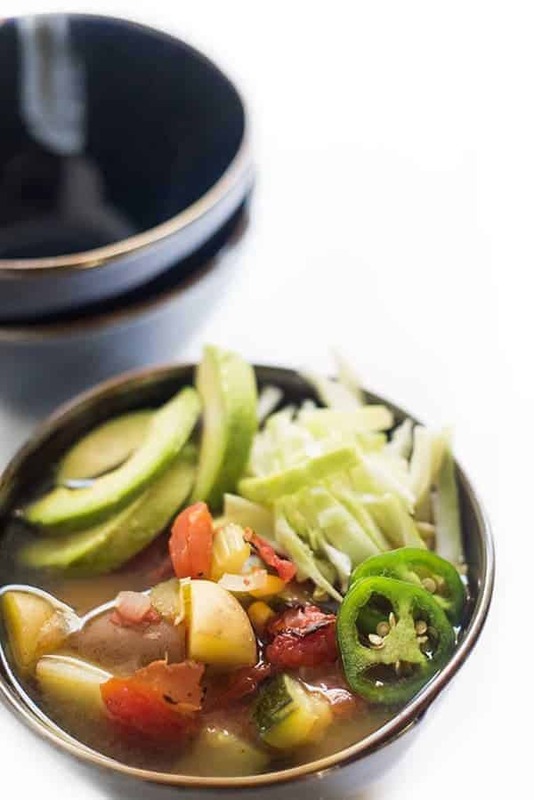 Check out more healthy soup recipes on my Pinterest board! 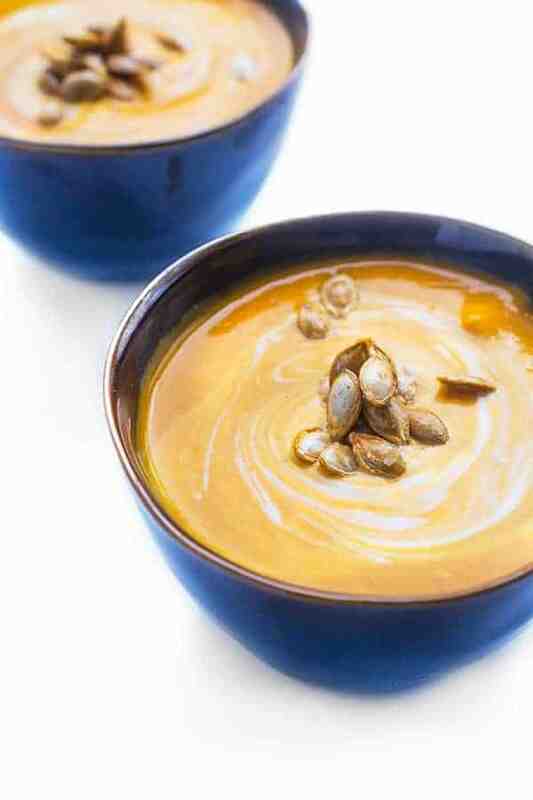 A wonderful soup choice for winter! Yum! Soup is my fave!! 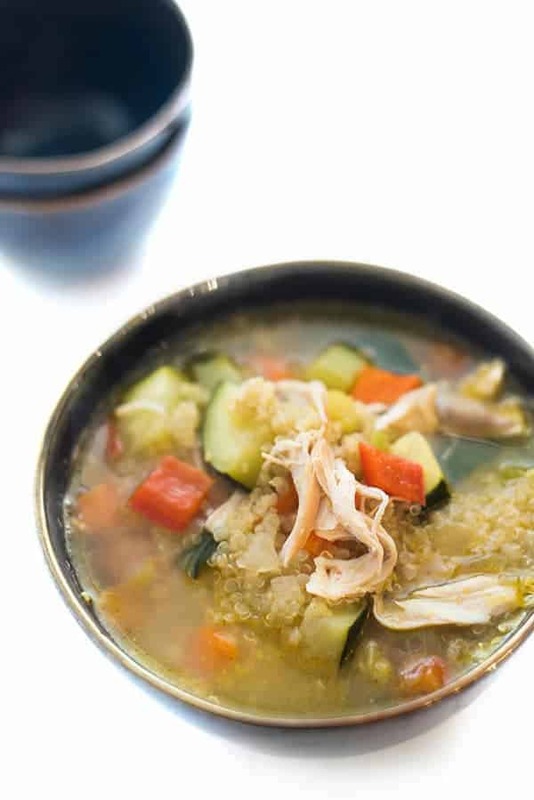 Love turkey soup – seriously the best part of Thanksgiving!! Love homemade turkey soup and I really like the veggies you chose. Thank you for the inspiration! So glad to hear that!! Enjoy!! Leftovers never looked so good!! 32 ounce bird!?!?! That’s crazy! I bet you had an awesome Thanksgiving and are getting to eat so many awesome leftover meals! PS-love the soup! I hope I said pound not ounces hahahah! Thank you! Ohmigosh! 1374 mg. of sodium!! That’s 3x the amount of sodium per meal per day that anyone should have. My husband and I are on low-salt heart-healthy lifestyles, so I’ll work at keeping the salt content in this recipe ‘way down! The recipe sounds great except for the very high salt content. Hi Joani, If you’d like to reduce the amount of sodium simply look for a chicken broth with little or no salt added and don’t add any additional salt. Additionally, add turkey that doesn’t have salt on it. Does that help at all? I don’t like to assume people will do these things so I include the full amount of sodium but there are so many easy ways you can modify to make it low sodium. :) That’s what’s so great about cooking at home from scratch!